Fur farming has environmental benefits, such as providing a sustainable use for tens of thousands of tonnes of animal by-products from human food production. Fur farmed animals are fed waste food purchased from fish and poultry processors and other farming sectors. Feeding these by-products, which are not intended for human use, creates a market to help keep down the actual cost of human food production and reduces the waste stream going into landfills. Since fur farming does not require a substantial land base, fur farms can be located in areas unsuitable for other forms of farming: this makes productive use of marginal lands. Raising fur animals is also well-suited to mixed farming since it demands the most from a farmer during the winter months when field crops require less attention. Straw from crops, or wood chips from lumbering, is used for bedding and to insulate cages. Manure is returned to the land to help grow new crops. Fur is used to produce a range of natural products, from clothing to fine brushes. Oils and fats are used to produce consumer products such as hypo-allergic cosmetics and fine leather preservatives. 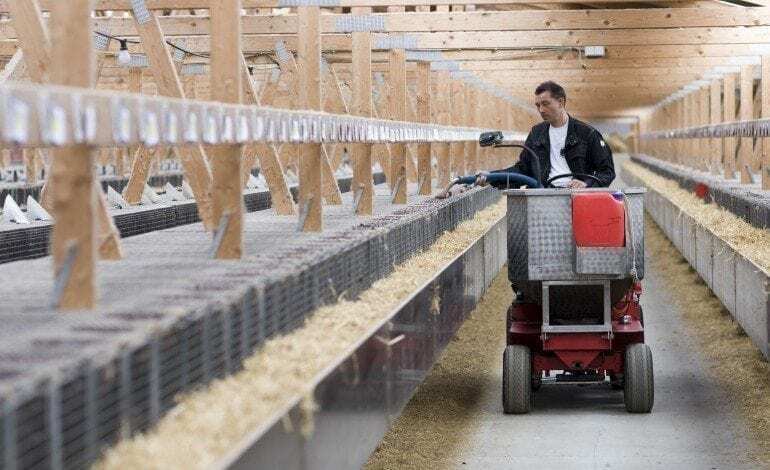 As with all farms, fur farms generate organic wastes that are composted and recycled as fertilizer which is used both commercially and on the farm. Fur farmers are also beginning to explore the use of farm wastes as a source of bio-energy to power their own farms and beyond. As a renewable resource and recycler, farmed fur is a sustainable method of production.